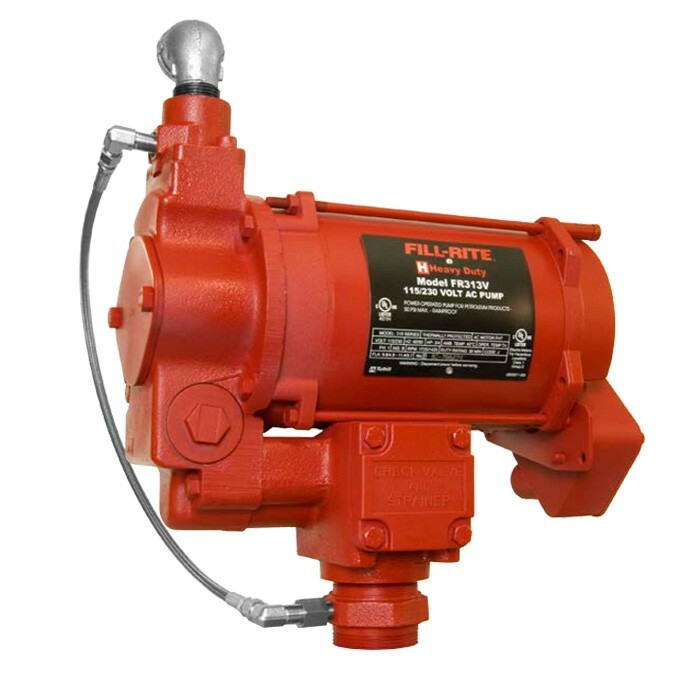 Fill-Rite FR303V 115 / 230 Volt AST (Above Ground Storage Tank) Remote Pump 1/2 HP delivers up to 20 GPM (75.7 LPM). Recommended for pumping gasoline. 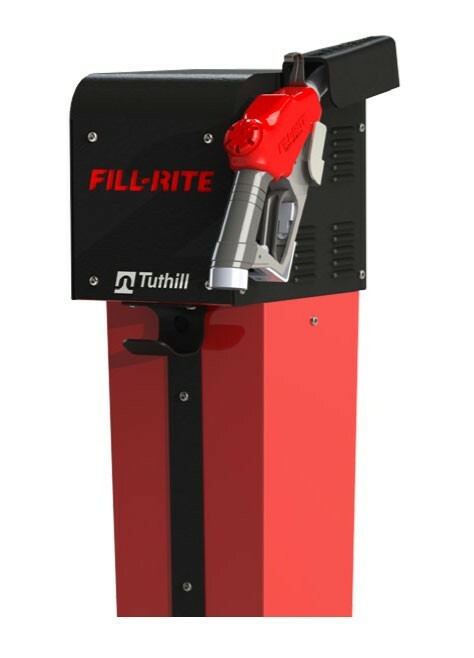 Fill-Rite FR313V 115 / 230 Volt AST (Above Ground Storage Tank) Remote Pump 3/4 HP delivers up to 20 GPM (76 LPM). Recommended for pumping diesel fuel. 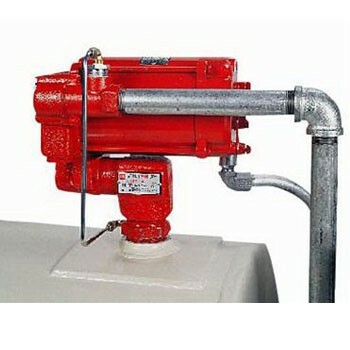 Fill-Rite FR702VR 115 Volt AST (Above Ground Storage Tank) Cabinet Pump 1/3 HP delivers up to 19 GPM. Designed to use with diesel, gasoline and kerosene. 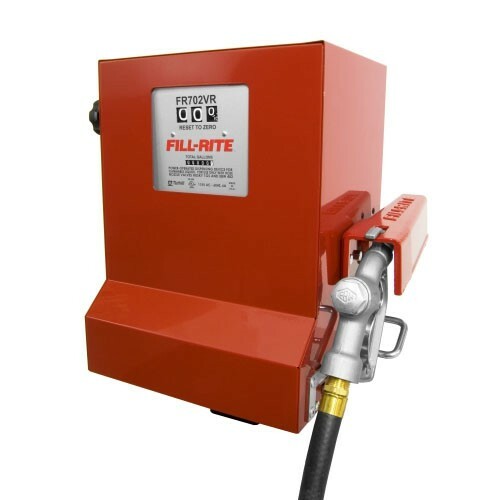 Fill-Rite FR702VRU 115 Volt AC AST (Above Ground Storage Tank) Compact Cabinet Pump (Gallon Register) delivers up to 19 GPM. Designed to use with diesel, gasoline and kerosene. Comes with universal nozzle boot. 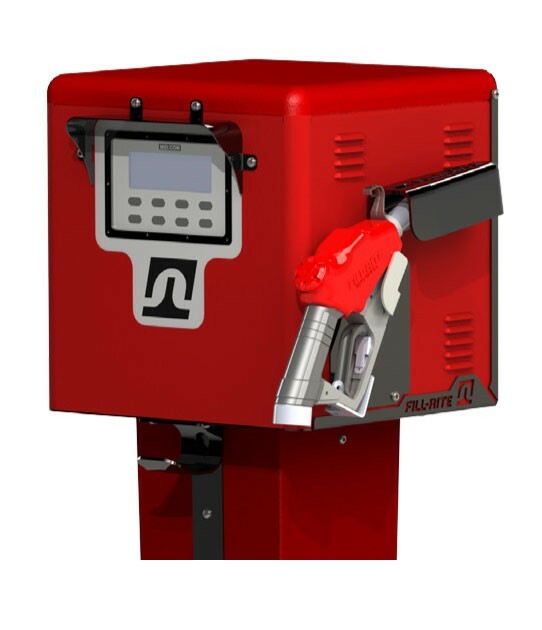 Fill-Rite FR702VLRU 115 Volt AC AST (Above Ground Storage Tank) Compact Cabinet Pump (Liter Register) delivers up to 72 LPM. Designed to use with diesel, gasoline and kerosene. Comes with universal nozzle boot. 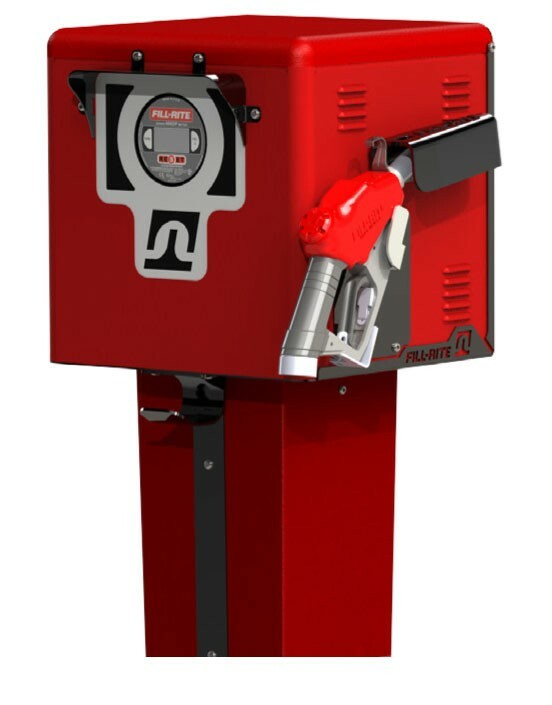 Fill-Rite FR102PH Pedestal Nozzle Hook Cabinet Pump comes with hose storage, remote switching for a pump, barrier and a nozzle boot. Hose and Nozzle are not included. 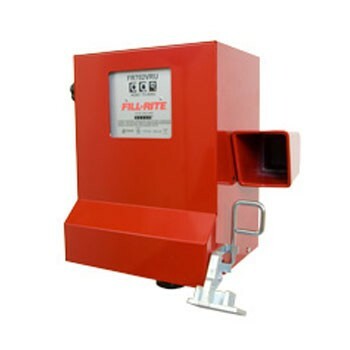 Fill-Rite FR902DP 900DP Cabinet Pump comes with barrier, hammer arrester and check valve. Hose and Nozzle are not included. 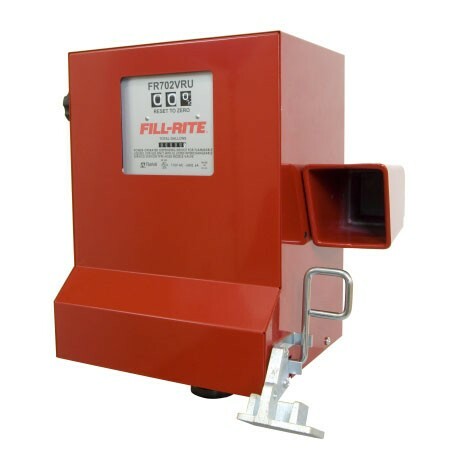 Fill-Rite FR302DP 900DP and FR300 Cabinet Pump comes with barrier, hammer arrester and check valve. Hose and Nozzle are not included. Fill-Rite FR910PM Precision Meter Cabinet with MidCom Register comes with barrier, hammer arrester and check valve. Hose and Nozzle are not included.